This basemap was initially created as an assessment tool for the entry, descent, and landing (EDL) analysis conducted by the MSL engineering team to assess Gale crater as a safe landing site for the rover. 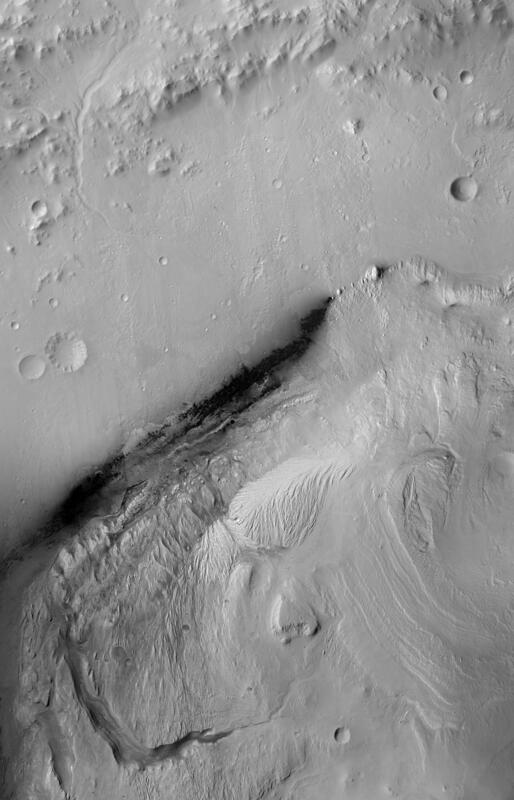 The image is built up from HRSC orthophotos, CTX map-projected images, and HiRISE orthophotos all tied to a MOLA base via the HRSC. Georeferencing was manually done from CTX to HRSC, then HiRISE to CTX or overlapping pre-georefererenced HiRISE. This image serves as the basemap for science and engineering operations conducted by the Mars Science Laboratory (MSL), aka Curiosity rover, on Mars. Where HiRISE coverage is lacking either CTX and then HRSC coverage was used.